The guards are the most important thing when inline skating. They protect your joints and prevent injury. In the knee and elbow protectors, see each an "L" for left and "R" for right. 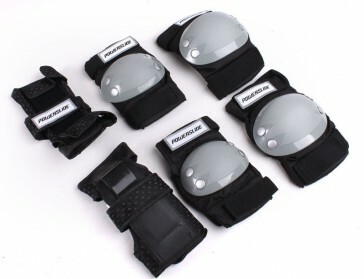 The protectors fit perfectly when they are not slip or rotate and fully protect the knee and the elbow. Information about the size specification, please refer to the table the figure.